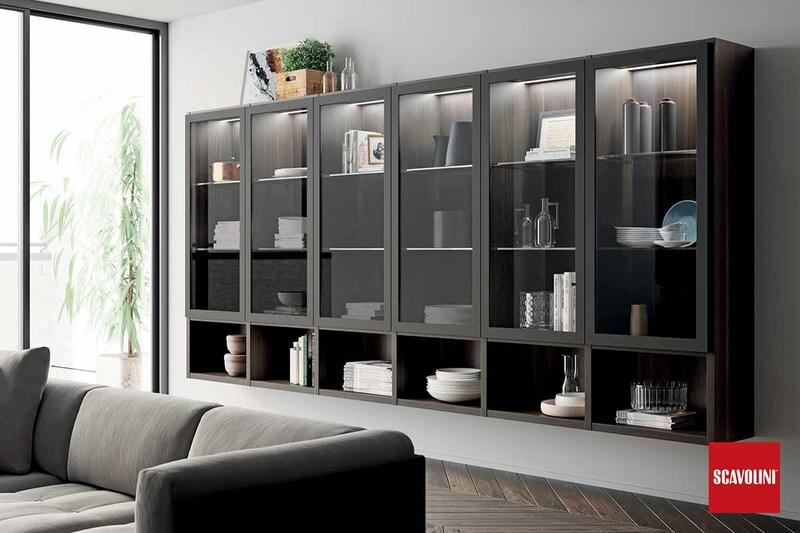 Many of our clients love the range of finishes and colours from Scavolini and want us to provide storage in other areas of their homes. 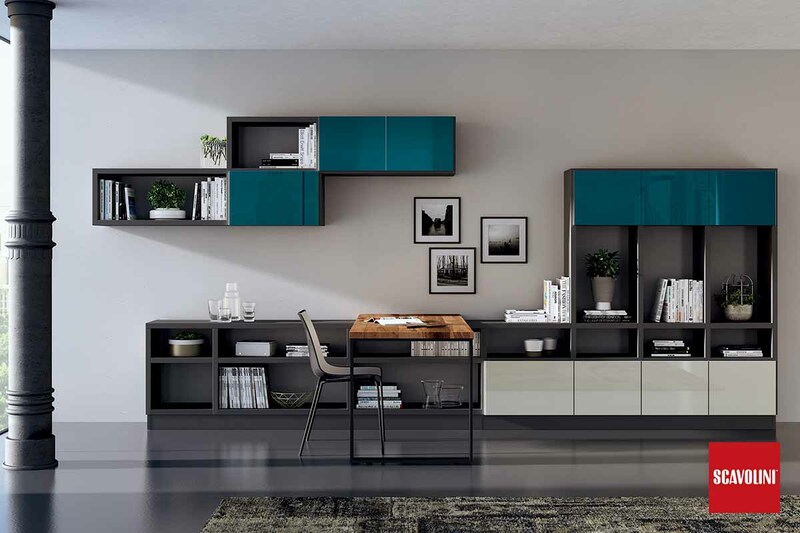 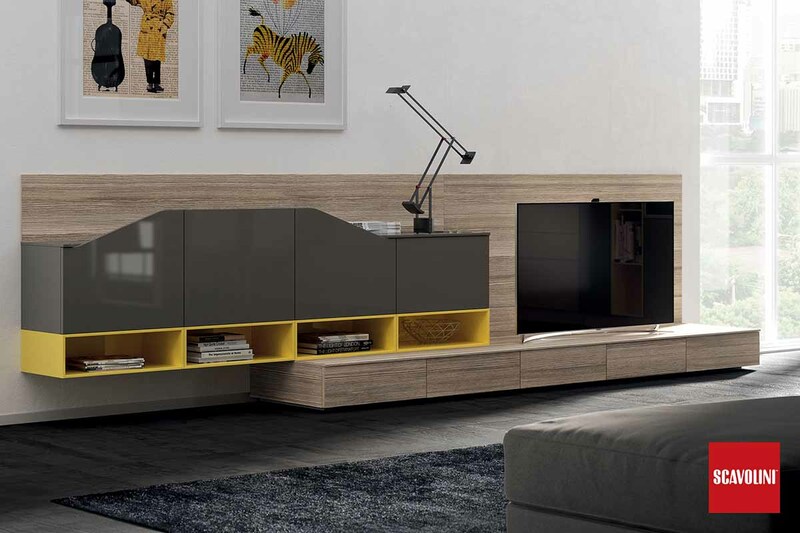 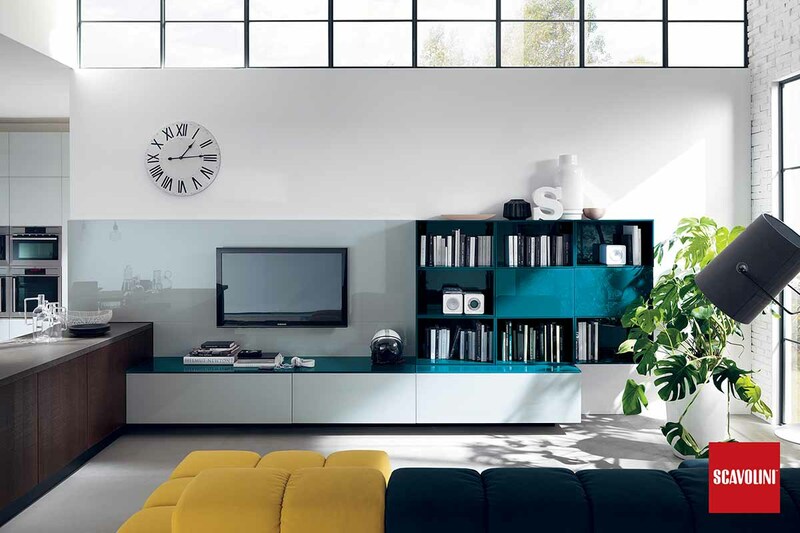 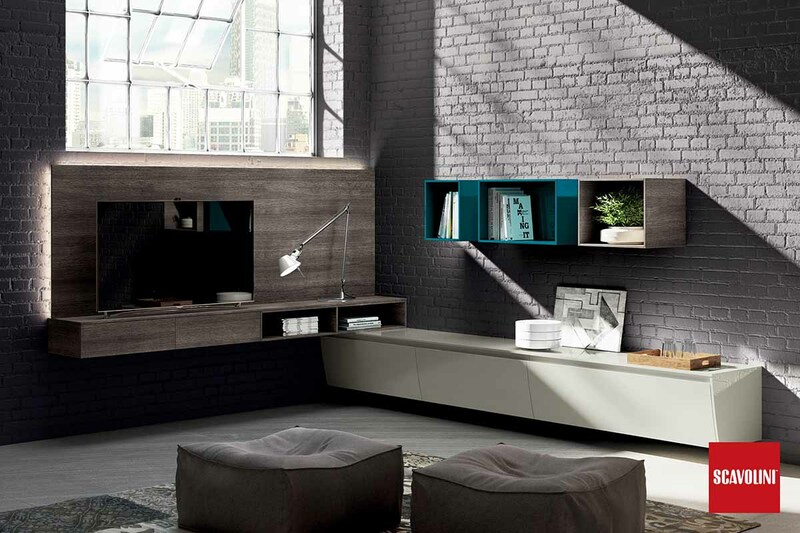 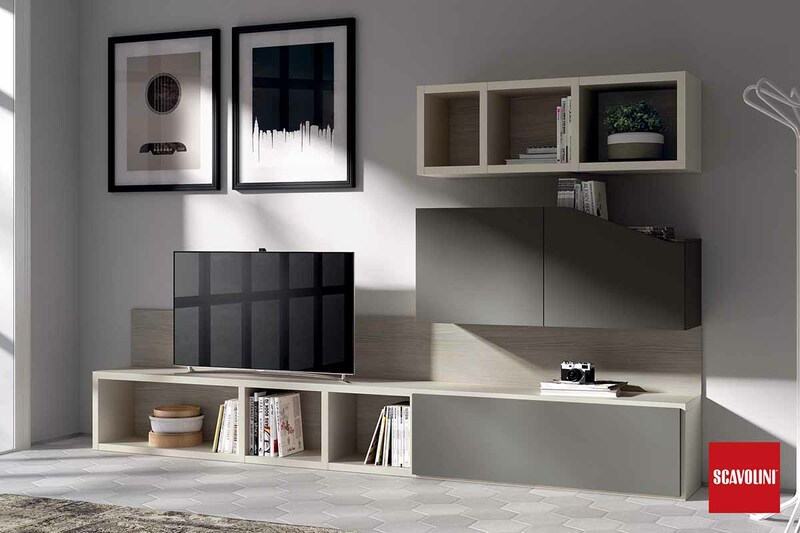 The Scavolini Living room storage units range does just this and is available as an extension of most of our kitchen models. 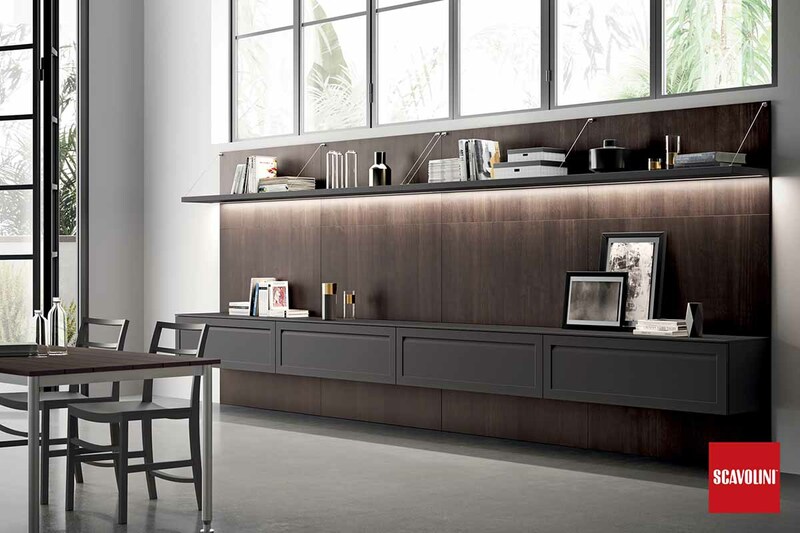 For its style, the attractive continuity of lines, tidiness, balance and uniformity of modules and spaces. 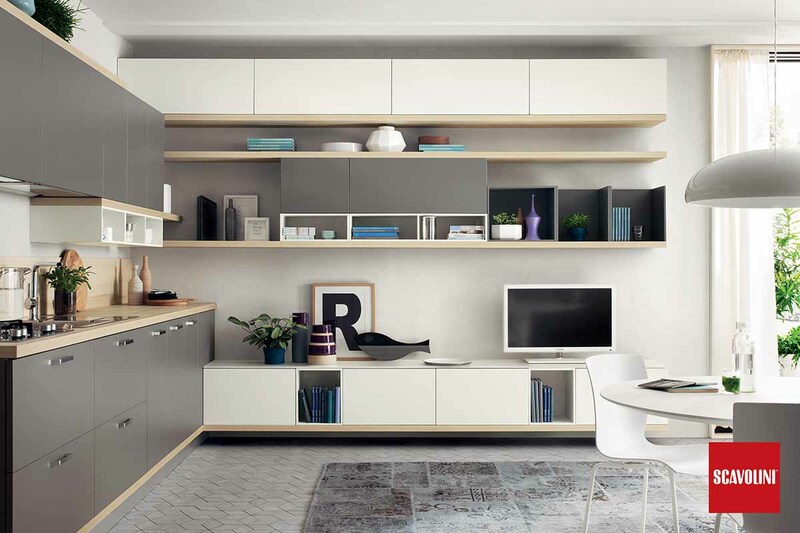 For the multipurpose convenience of a single room, to have everything in reach, to bring together work and relaxation, use and consumption, in perfectly harmonised contrasts. 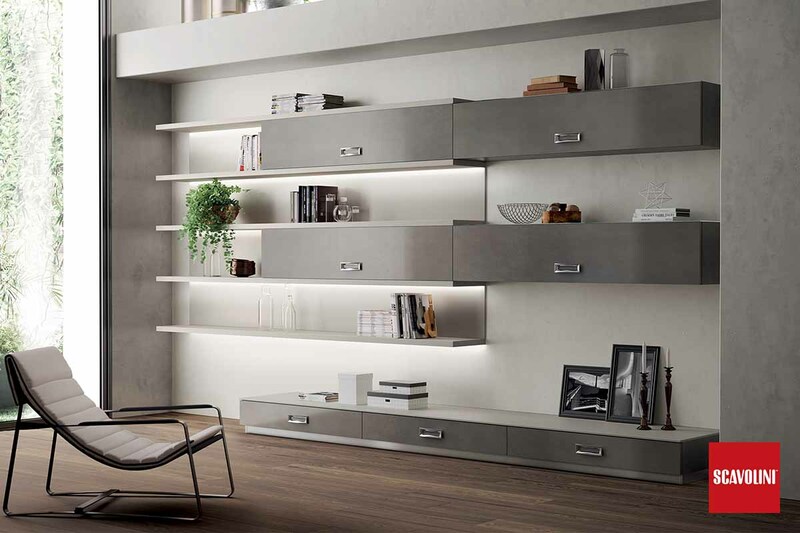 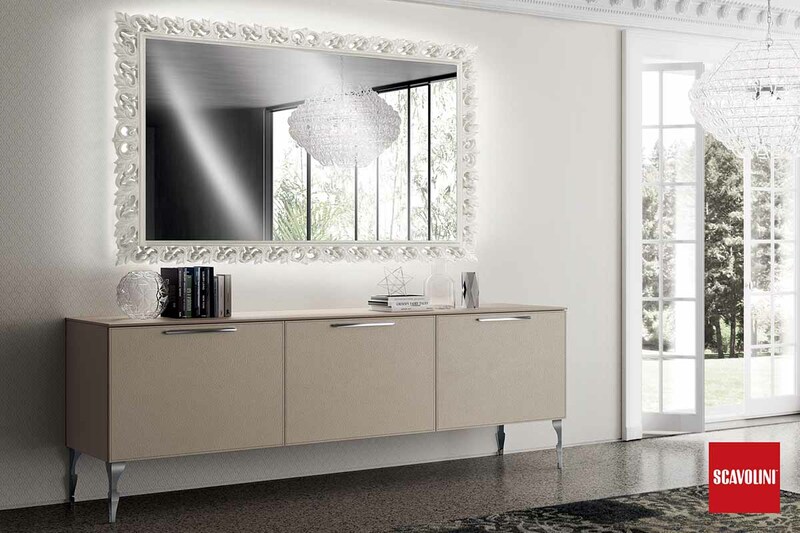 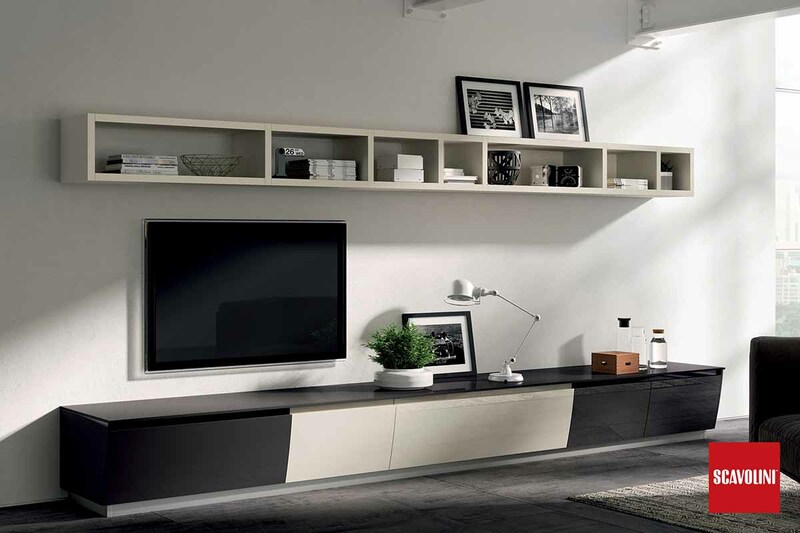 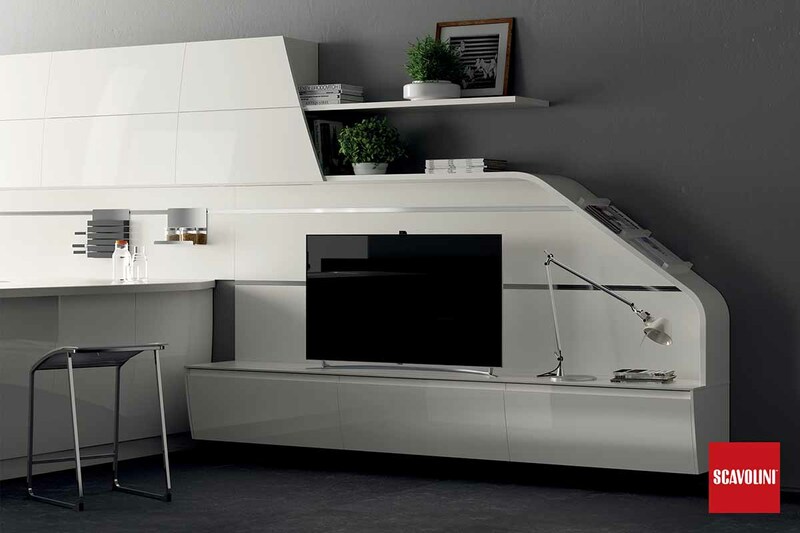 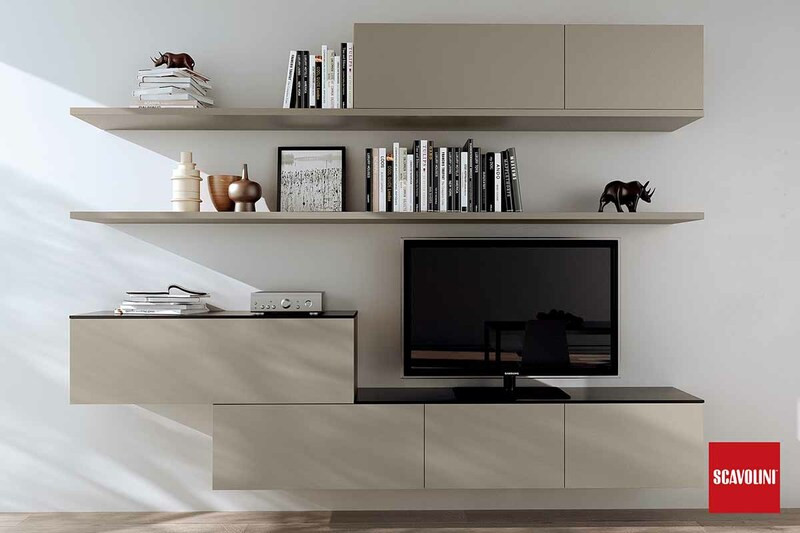 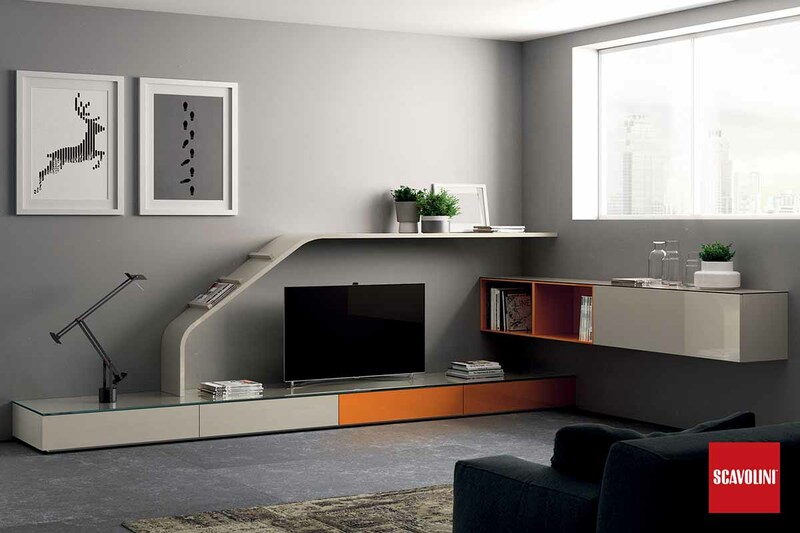 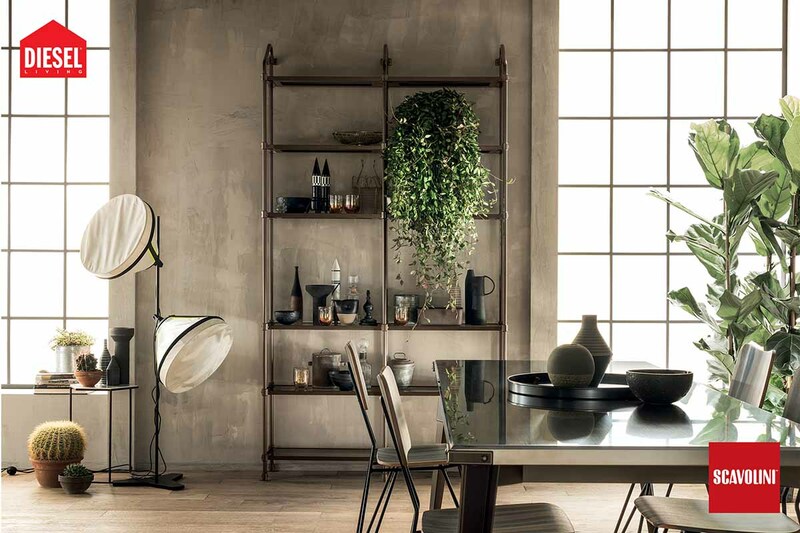 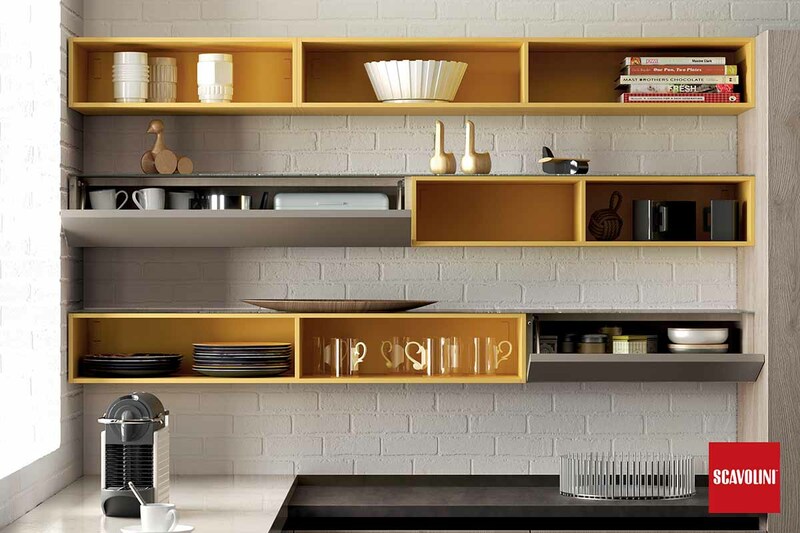 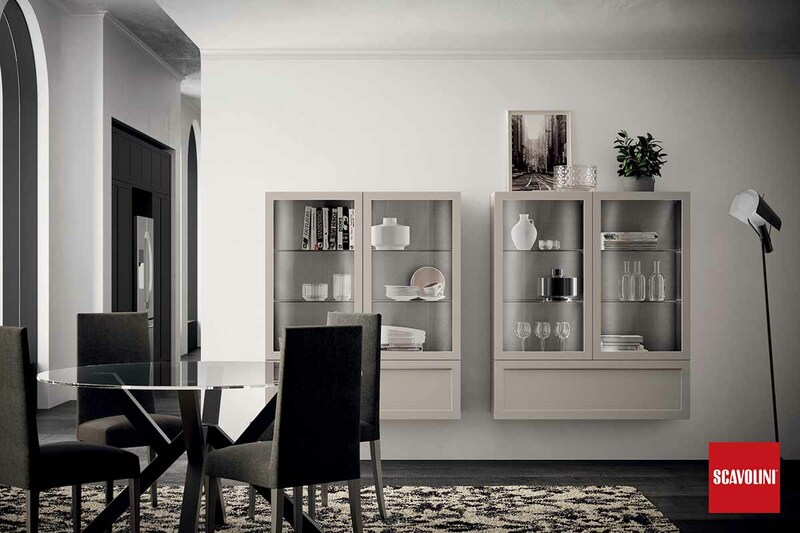 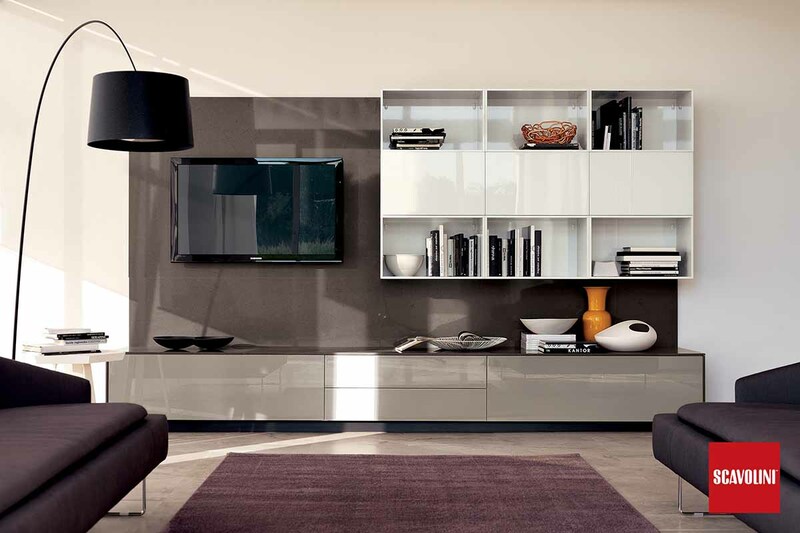 Scavolini – Italian furniture design at it’s best. 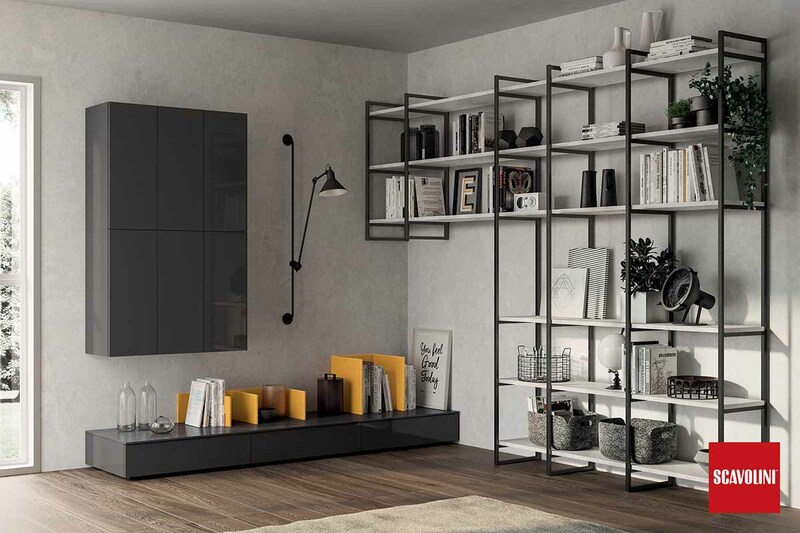 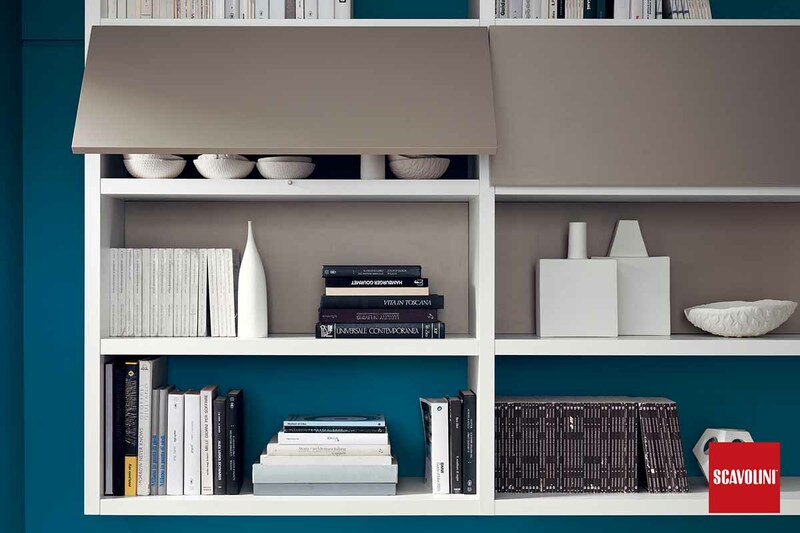 In addition, you can also consider the Fluida line of modular shelving, available in a wide choice of colours and finishes. 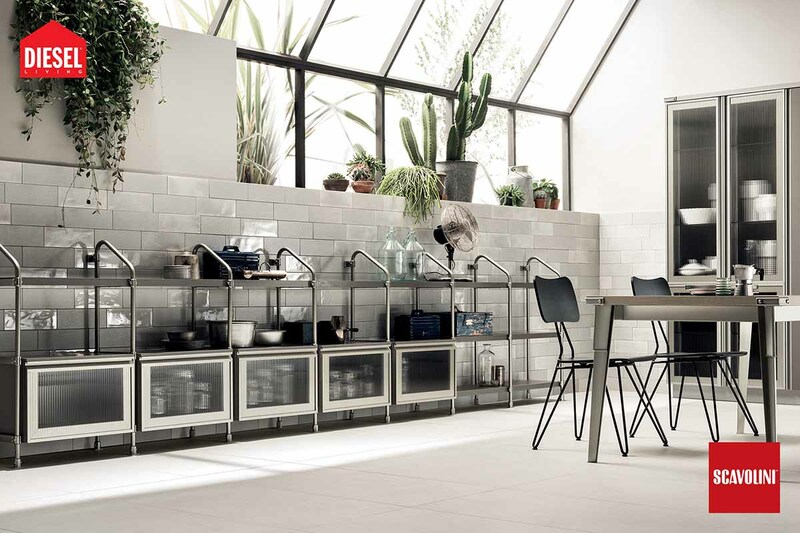 The Fluida Wall System is a modular system that integrates with your kitchen using the same module, shapes and alignments. 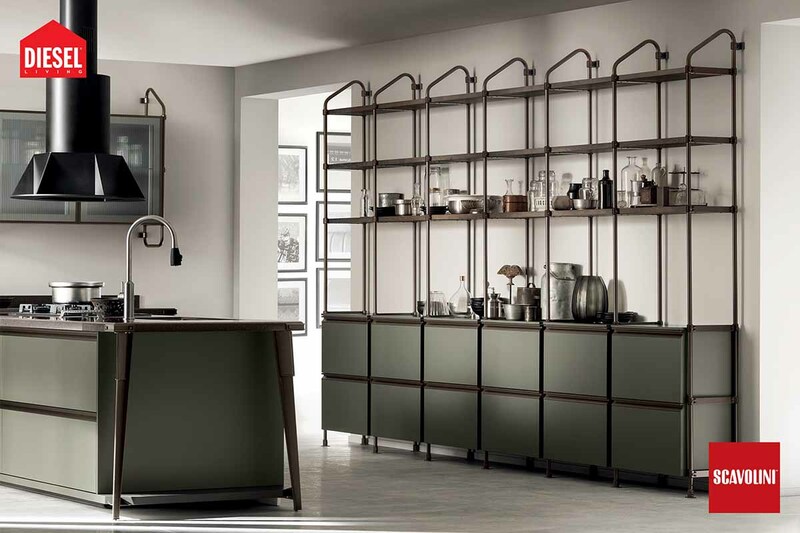 The side panels and shelves create a regular pattern of vertical and horizontal lines that offer plenty of potential for personalisation thanks to open fronted elements, back panels, hinged door fronts, big baskets and top and bottom hinged flap doors. 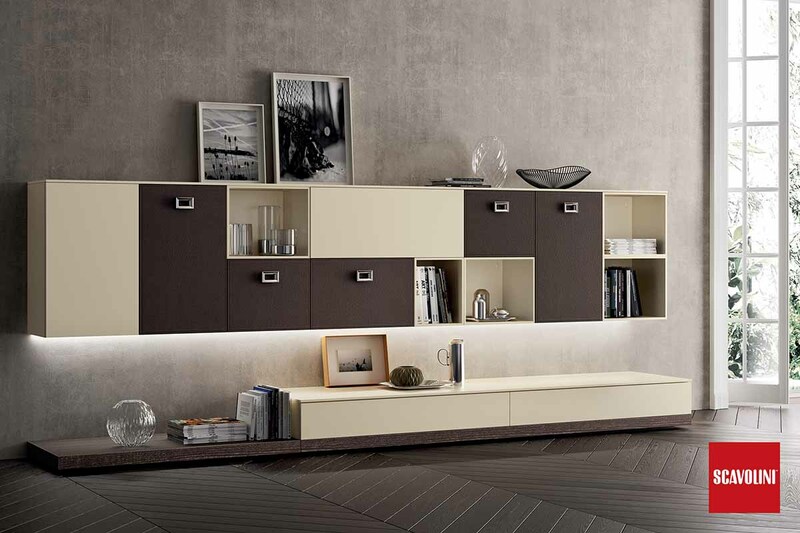 This can incorporate doors and drawers and be used as a double-sided room divider if needed. 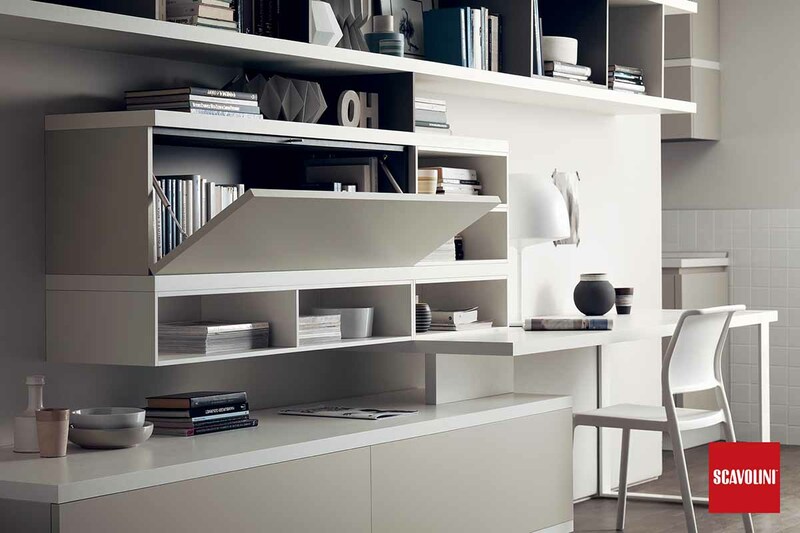 Whether integrated with the kitchen as part of an open-plan home, an office space, as stand-alone shelving or TV & media furniture, we have something to meet your needs. 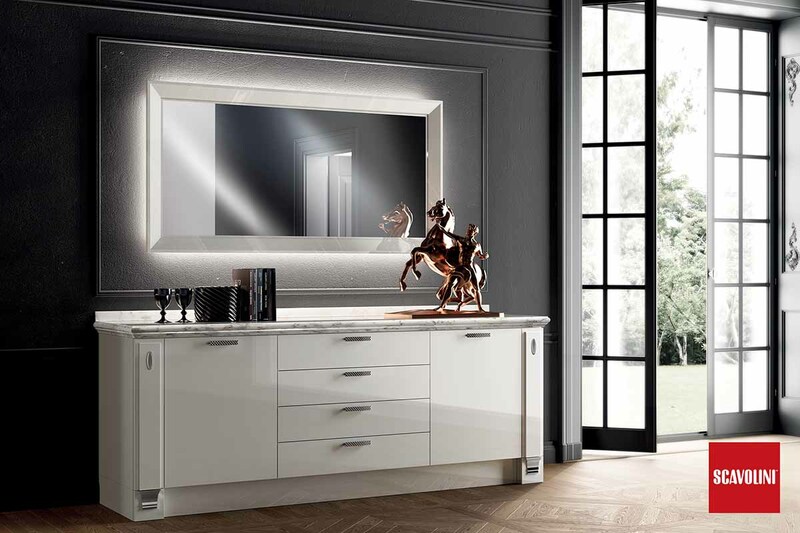 Get in touch today for kitchen or bathroom of your dreams!